I am so honored to introduce May’s Artist of the Month with you! Heather Hernandez is a wife and mother of two, writing about embracing divine joy in every season. We met recently over the interwebs, via our mutual membership in an excellent website called Hope*Writers. Encouragement flows naturally out of Heather and subsequently her writing, because it is innately part of her. She writes over at rejoicinginlife.com where you can find more encouragement as a mom, creative, and/or human being. Heather was recently featured at (in)courage as well, which is a website devoted to creating a new home for the hearts of women to connect and thrive with God and each other. You’ll also find some excellent FREE resources when you subscribe to Heather’s blog that will help you embrace the season you are in through faith, organization, and really good questions to ask yourself. Today, she generously shares how to live a creative and artful life well from a place of purpose and peace. I was reading this to my son yesterday and it stuck with me. Because all of creation, all of the beauty God lavishly painted across the sea, the earth, the sky, and the stars, all of his ART…it all points us back to him. It whispers to us deep in our souls and spirits about who he is. He poured out his creativity into his creation. Into us. And I believe that all of us have that spark. That divine well of creativity that when we are soaking in His words, His song, His beauty, His creation, enables us to live creative, beautiful, artful lives wherever we are at, in so many different ways. It’s been almost seventeen years since my father died and it wasn’t until last month when I wrote about him living his life well, that I realized part of why I thought he lived it well was because he was making art with his life. I think that looks like being present, blooming where you are planted, using limitations for inspiration, doing the things that make you more fully yourself and using the gifts our Creator bestowed upon you. For my father, that looked like, transforming our little backyard into his own mini farm, woodworking, leather working, hiking, camping, fishing, taking classes in Western history, and writing a book by hand during his lunch breaks and cracks of time. It also looked like playing, and chasing, and wrestling with my brother and I. He didn’t have acres of land to farm or the money to buy one. He didn’t have the ability to quit his “regular” job and write for a living. But he didn’t let the limitations stop him from using his gifts and pursuing the things he loved. He lived and loved and died well. And his life pointed everyone back to the Creator. I inherited my love of writing from him. There have been a lot of stops and starts and redirections along the way, but I’m finally feeling like I have a purpose in it all. That I have something to write about. But this season for me is one of pregnancies and raising babies and making a home. And so it looks like finding my cracks of time to write and create and dream. And remembering to be present with my children and my husband. To see the limitations as ways to decide what is important and refine my focus. I think there is this idea that bigger is better. That we have to be on the NY Times Bestseller list, or reach hundreds of thousands with our words. That we need to be selling albums, or be a nationally recognized name, or grow our businesses bigger and bigger. But I think when we measure value by the number of sales, page views, and likes, we are missing the mark. It is so easy to compare my life, my purpose, my gifts to other people. Especially the well known ones who do have the big numbers, likes, and followers. But we are all unique and we are in different places and seasons and God’s purposes for our lives are as vast and varied as His creation. And the person who is faithful where they are planted, who blooms there as they cultivate and care for their patch of ground, their little family, their little community. They are doing just as valuable work as the person who is speaking to the masses. It’s not about the quantity of what we have to offer, or even the number of people we touch. It’s about offering up our gifts to God and listening to what He is calling US to do and being faithful in that. In the interest of my love for lists, here are some things I think we can do to be purposeful about living more creative and artful lives. It’s so easy to drift through life always thinking about the next thing on the To Do list (Ahem, Me!) Try to stop and slow down and be present in what you are doing. Really take in your surroundings when you’re going for a walk. Give your children some focused attention and listen to what they are saying. Dance in the kitchen. Sing with the kids. Savor your cup of coffee. Use your five senses. 2. Where Are You Planted? Take stock of your season and your responsibilities. What are your limitations right now? They can change sometimes without us really noticing. Be realistic about what you have time for. 3. Use Your Limitations for Inspiration. Take the parameters of those limitations and think about what you can do within them. Prioritize what is important to you and your family and refine your focus and purpose for this particular season. What do you love? What skills and abilities did the Lord give you? What makes you feel alive and energized? Write them down and think about ways you can use them in your life. You may not have room for all of them at once. Come up with what you can do right now in this season and pick some to add in. Depending on how much time and energy you have in your season, it may look as simple as writing while the kids are napping, or inviting another mom over for coffee once a week or sketching after the kids are in bed, or playing the piano for your children. 5. How Can You Help and/or Enrich Other’s Lives? This goes hand in hand with using your gifts. Once you decide what you love and which things to make time for, then think about how you can use them to help others or enrich others lives. Can you make dinners for new mothers? (They SUPER appreciate this, I guarantee!) Maybe start writing encouraging notes to people, or help in the nursery at church, or do something to raise money for charity. Ask the Lord to show you opportunities that are a good fit for your season. 6. Keep Your Well Filled. This should perhaps be #1 as well. It’s so easy to get caught up in the busyness, in the cares of this world and stop dwelling on God and my well dries up, and I feel like I don’t have anything to pour back out. Anything to fuel that kind of art. To seek out the things of beauty. To fill ourselves up so we have something to give, to create. To reflect the glory of God. So remember, you are special and unique and don’t have to be anyone except who God created you to be. You can live artfully no matter what season you are in and what your particular gifts and talents are. And everything you have to offer is valuable and you don’t need to compare yourself to anyone. And all of this beauty? All of creation? It is his message of “I love you”. Our September Artist of the Month is the beautiful, articulate, brilliant Heather Knudtsen! (And not to brag or anything, but she’s one of my best friends and most kindred of spirits! So… yeah.) Heather and I used to stay up way too late in college talking about this very dear subject of beauty, of Jesus, of the inextricable link between the two, and how we carry his beauty into the world. (And sometimes dressing up like pirates because it’s cool to do that.) It is a great treat and a high honor that you get a peek inside her beautiful heart today. Enjoy! When I was little, I used to hate when my Dad listened to the news. It seemed to me to open a portal into our little living room to let in all the misery the world had dreamed up that day. I’ve always struggled to keep my perspective hopeful when my focus is drawn to the evil, the ugly, or even just the empty that shares this world with the good, the beautiful, and the meaningful. How is it that I can trust or believe in the beautiful and the good when there is such cruelty and despair? For whatever reason, evil seems to cancel out good more quickly than the reverse. I wonder if this is not the reason that for much of the past hundred years our artists seem to be more and more disenchanted with the pursuit of beauty in creating their art. After two world wars and countless other horrors, who can believe the lies beauty has been telling us all these years? That there is good, there is healing, and that we are part of a story bigger than ourselves? I think artists are somewhat more sensitive to despairing at the evil in the world. We are always stretching the hands of our souls out, feeling through the dark for little pieces of infinity. We have an intuitive sense that constantly reminds us of the way the world should be: filled with purposeful identity, excellent craft, and moments of beauty. This is perhaps why “artists” as a group are often less concerned with the get-a-job-and-a-house-with-a-picket-fence standards of the society around us. We seek after a standard on a different dimension. But this means that when we realize that the purposeful identity and moments of beauty we seek are even harder to come by than a job-and-a-house-with-a-picket-fence, we feel cheated. Our souls stretch out their hands and so often find filth instead of beauty and apathy instead of purpose. The question is, what do we do next? Do we give up on art? Do we pretend we never found the evil and create instead a false world of meaningless beauty? Or the opposite—do we use art only to express our sense of despair? I think these have been reactions that myriads of artists have chosen. But I believe there is another perspective to be had. One that says it is evil that is intruding on a world that was meant to be good and beautiful, rather than the beautiful fighting a dying fight in a small corner of an evil world. Those of us who believe the words of Christ and his followers know the world to have begun with “it was good”, and eagerly await the day when good is restored. In our perspective, the evil and the ugly are a passing fancy; foreigners to our land who will not succeed in their attempts to conquer it. They do not belong, and deep down we know it, and their departure is the very cry of our hearts. So take heart, my fellow artists! You are not over-idealistic misfits soon to be dashed on the harsh, stony shore of the world, but instead, the keepers of beauty and meaning in a time when the souls of the world are hungry for the hope you hold, as they wait wearily for evil to thrash its last thrash. You have a job to do, and it is bigger than the insecurities you have about your artistic ability and even transcends the work you do in your specific artistic medium. Bring some beauty back to the world. It might not be popular, it might be accused of taking no account of the grittier truths of life (but it is because of these truths that you should do it). Be willing to go after this subjective and ethereal thing that is as likely to make a fool of you as it is to decide to show its face. Because when we decide to attempt the creation of beauty, we open ourselves up to the possibility of failure. We reach for a standard we do not intrinsically have the full power to achieve. The attempt cannot even be begun without vulnerably opening ourselves up to be sensitive to the whispers of beauty and the story we need to tell. We must be willing to dream bigger dreams than we assuredly know we can accomplish. And as far as how to recognize when you’ve created something beautiful, I think you’ll know. If you shut off the voices of comparison and just do the work, something right will happen inside you when you do it. And you must try, because a world without beauty is a world without grace, humanity, and hope. Beauty refutes both the meaninglessness of the daily and the despair of destruction. It does not negate it, but it meets it on the battlefield and says “this is our land, not yours”. As artists, we must bridge the gap between the world that we delight in and the world that we have. We must live in the tension of the world we hope for and the world that is. 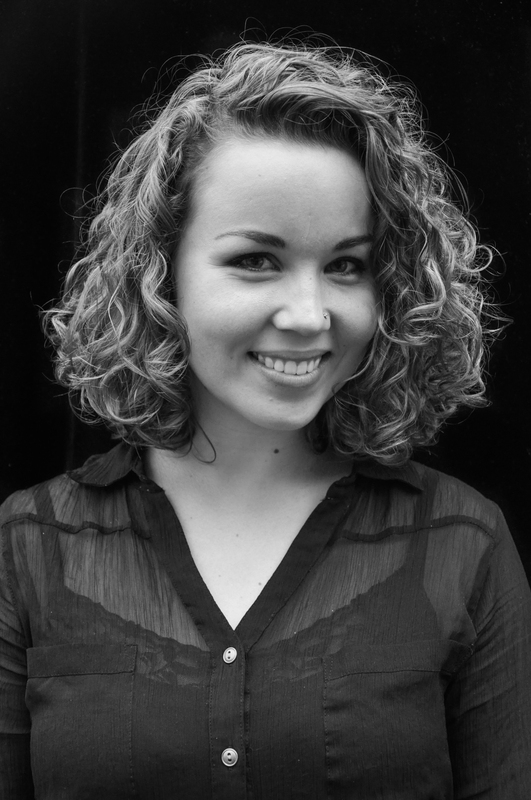 Heather Knudtsen directs theatre and is a freelance graphic designer & social media marketer by day. Recent theatrical productions have included The 39 Steps adapted by Patrick Barlow, A Christmas Story adapted by Phillip Grecian, and Trifles by Susan Glaspell. Her favorite arts are music, literature…ok all of them. Her favorite college roommate was Haylie Allcott. Find out more about Heather at heatherknudtsen.com/directing.